Winchester streets get a much needed clean. Home / Uncategorised / Winchester streets get a much needed clean. 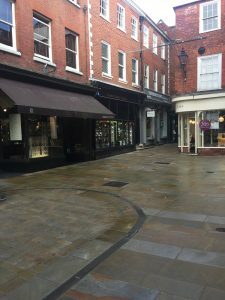 Last week, a much needed spring-clean of Winchester’s side streets took place, starting with The Square. We were so impressed with how great the stone looked after the clean and removal of chewing gum. 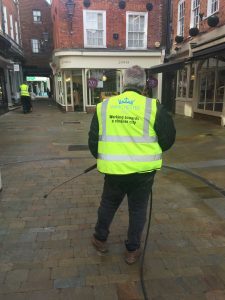 Following The Square, the street cleaning team then tackled Parchment Street and will follow with Little Minster Street, St Thomas Street, Jewry Street and Bridge Street.